Reflections on Text, Canon, and Translation from Carl Amerding's "The Old Testament and Criticism"
I recently finished reading Carl E. Amerding’s The Old Testament and Criticism (Eerdmans, 1983). In general I do not share Amerding’s optimism that “a moderately critical approach” to the OT is “fully consistent” with the evangelical view of revelation (p. 9). The book’s review of literary (i.e., source) and form criticism now seems dated (pp. 21-66), as does, even more especially, the extended discussion of structural analysis (pp. 67-96). 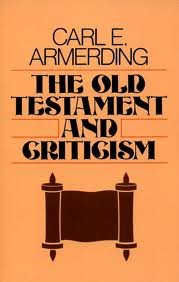 Of more lasting value is Amerding’s survey of OT text criticism (pp. 97-127). But what was considered Scripture in this period? As might be expected, the time from Ezra through the first Christian century was also the time when the Jewish list or canon of books became well established. Moreover the development of an authoritative text is a natural corollary to an authoritative list of books….. (p. 101). I remember when I suggested the connection between canon and text in the online debate with Jamin Hubner over the NT text, and he dismissed such a view as novel and obscurantist. I have continued to raise this as an objection against the oft repeated argument of evangelicals who embrace the modern critical text that there are no major “doctrinal” issues involved in textual criticism. Clearly, the canon of Scripture is a key doctrinal issue, and canon involves not only books but the texts of those books. A new era began with the publication of the Revised Standard Version (RSV) of the complete Bible in 1952. Not only did the revisers break with an old but now dated tradition by using the 1937 BH3 as their basic OT text, but they opened the door to a limited number of textual emendations, particularly where the LXX or another VS lent support. Even a few readings of the DSS of Isaiah were included, although little work on the textual reliability of Qumran had been done at that time. In general it should be noted that the RSV, despite its pioneering stance, remained reasonably conservative in its departure from the MT…. Once the barn door had been opened, however, it almost seemed as though all the horses fled at once! A host of private and committee-produced translations have appeared since the RSV, some of which seem to treat the MT tradition with far less respect than previous custom…. (p. 116). This is a reminder that the issue of text is no longer limited to the NT alone, as the traditional (MT) text of the OT has been challenged by modern translations, with such challenges pioneered by the RSV. This also explains why the ESV, following in the RSV tradition, so often provides OT translations based on textual emendations from the versions, etc. (see here for an example). What did Peter mean by "the gospel preached also to them that are dead" in 1 Peter 4:6? Last Sunday evening during our Lynchburg meeting one of the college students asked me about the meaning of 1 Peter 4:6: “For for this cause was the gospel preached also to them that are dead, that they might be judged according to men in the flesh, but live according to God in the spirit.” What does Peter mean by the reference to “the gospel” being “preached to the dead”? Second, whatever Peter was saying here, we know that according to the analogia scripturae he was not teaching post-mortem evangelism in the sense of the wicked having the opportunity to hear and believe the gospel after death, a false interpretation sometimes drawn from misunderstanding of 1 Peter 3:19. Such a view would contradict the teaching of Scripture elsewhere (cf. Matt 10:32-33; Luke 16:25-26; Heb 9:27). Third, there are at least two reasonable possibilities of interpretation. First, it is possible that Peter is speaking here about the evangelization of those who were spiritually dead in their unregenerate state but who were made alive when they received the effectual call, were converted, repented, and believed the gospel. Indeed, the metaphor of conversion as the transformation from death to life is central in the NT (cf. Luke 15:24, 32; Rom 6:4; Eph 2:1). Second, it is possible that Peter is speaking here about the benefits of salvation to believers who have experienced physical death. Hiebert seems to favor this view, adding, “The fact that they had died like other men might raise the question of whether their new faith had gained them anything. In the eyes of their opponents, they seemed to have gained nothing. Though they claimed to have received a new life, they died like other mortals. Peter assured them that though they had died, they would fully share in the life brought by the Savior” (p. 267). Thomas R. Schreiner (1, 2, Peter, Jude, 2003): “Peter considered the case of believers who had died physically. These people heard and believed the gospel when they were alive but had subsequently died. Unbelievers viewed the death of believers as proof that there is no advantage in becoming a believer, for all without exception die. Peter indicated, however, that unbelievers do not understand the whole picture. Even though from a human perspective believers seem to gain no benefits from their faith since they die, from God’s perspective (which is normative), they live according to the Spirit” (p. 208). It is noteworthy that a large portion of the New Testament consists of letters written from apostles and leaders (like Paul, Peter, James, and John) to the early churches. Many of those letters provide updates on ministry, material needs, doctrinal teaching, and prayer concerns. I thought of that in recent days as I received several letters (emails) from ministers serving abroad. Greetings from Lusaka, Zambia. God is glorious and worthy of all our adoration and praise. Our desire is to be worshippers who hold Jesus up above ourselves and even above our ministries. We are thankful to be your missionaries in Africa and we desire to glorify God through the opportunities He gives us. God has been good toward us through the grace given us in Jesus Christ, but also in His provision and protection which He has shown to us as we have transitioned to this new ministry. We are both busy teaching, mentoring, and reaching out to the people of Lusaka. Those we are working the most closely with live in the compounds which are the poorest sections of the city. They face many financial difficulties, but are rich in faith and love. We are thankful for their desire to grow in Christ and learn His Word. In fact, it is a motivation for our own spiritual growth and development. We want to thank you for the financial support which you are giving toward our mission. Without your support and the prayers of God’s people we would not be here. You have been and continue to be partners with us in this mission of training pastors and their wives in Zambia. Your partnership and friendship is an encouragement to us and we want to thank you for all that you do for us. The church is doing benevolence work for the churches affected by the devastating storm, Haiyan or Yolanday. We already have a team that left for Leyte and will be sending another soon to survey needs. Please check our website sgbc-cebu.com for updates on specific requirements and how you may help. May the Lord continue to work through his faithful servants in places all over the world. I posted the audio from last Lord's Day's Sunday School discussion at CRBC on the subject of baptismal mode. I also posted a pdf of the PowerPoint I used for the lesson. We only do this class after lunch once of a month (on the second Sunday) in place of our afternoon worship, since I have to leave early to preach at a local retirement home. b. Over our senses; our eyes, to turn them away from such objects as may provoke lust. Job said he made a covenant with his eyes not to look lustfully upon a maiden (Job 31:1). Our ears, to shut them against lascivious discourse; we must watch also against such touches and wanton dalliances as may be an incentive to unchaste desires, and take heed of all light and lewd company, and watch to avoid all occasions, and resist temptations to uncleanness. When Joseph was approached by Potiphar’s wife he refused, saying, “How can I do this great wickedness and sin against God?” (Gen 39:9). Vincent argues that excess in either tends to pamper the body and so excite lust. In Jeremiah 5:8, the prophet describes his own generation as overfed horses who “neighed after” their neighbor’s wife. The Proverbs wisely warns against drunkenness which leads men to “behold strange women” and to utter “perverse things” (Proverbs 23:33). 4. By abstinence, and keeping under the body, when there is need, with frequent fastings. 5. By the fear of God, and awful apprehension of his presence and all seeing-eye. Proverbs 5:20 And why wilt thou, my son, be ravished with a strange woman, and embrace the bosom of a stranger? 21 For the ways of man are before the eyes of the LORD, and he pondereth all his goings. We cannot justify unchastity as a “victimless sin” if done among consenting adults or if done in the privacy of one’s inner thought life. All is seen by God. And all sin, public or private, in an affront to a holy God. 6. By faith in Jesus Christ, and thereby drawing virtue from him for the purifying of the heart and the crucifying of the fleshly lusts. 7. By the applications of the promises of cleansing the heart, and subduing iniquity. John Owen had a famous exposition of this verse called The Mortification of Sin in which he warned that we will either kill sin or sin will kill us. Think of David’s prayer to God in Psalm 51 in which he pleads for God to create a clean heart within him. Jesus himself taught us to pray: “And lead us not into temptation but deliver us from evil” (Matt 6:13). 10. When no other means will avail to quench burning desires, marriage is to be made use of; and that must be in the Lord. Paul said it is better to marry than to burn (1 Cor 7:9). His point is that God has given a lawful arena for the expression of sexual desire and it is within marriage. Notice first the stress upon one who comes but who does not give full allegiance to Jesus. Already Jesus is anticipating here a warning against false starters or false professors. Notice second the strong and even harsh language. Jesus says his follower must “hate [miseo: to despise, to disregard, to be indifferent towards]” the members of his own family. Notice the order: father and mother (one’s first family), wife (the one a man leaves his family of origin to cleave unto), children (the precious fruit of the marriage union), brethren and sisters (one’s own flesh and blood siblings), and, finally, he adds: “yea, and his own life also.” If one does not do this he cannot be Christ’s disciple. The fifth commandment teaches us to honor our father and mother (Exod 20:12). Paul told Christian husbands to love their wives as Christ loved the church (Eph 5:25). In Titus 2:4 Paul told Titus to teach the older women in his congregation at Crete to teach the younger women to love their husbands and their children. Paul told fathers not to exasperate their children (Eph 6:4) and Psalm 127 calls children “a heritage from the LORD,” so they are not to be despised. Finally, the Great Commandment teaches that we are to love our neighbor as ourselves. Implied in this is the fact that we ought to love ourselves (cf. the sixth commandment on the preservation of our own lives). So, what does this teaching mean? How do we reconcile these two streams (Jesus’ command to hate family; Jesus’ command to love family)? The teaching in Luke 14:26 must be taken as hyperbolic to prove a point. The point is that even the very relationships that are most precious to us, even the dearest bonds within a family, are not to be placed above the bond to Christ. We must not make an idol even of family. If we ever have to choose between family and Christ, we are to choose Christ. Jesus himself provided the example in his relationship to his human family (cf. Luke 18:19-21). Notice third, what this teaching implies about Jesus’ self-understanding. Who could possibly demand such allegiance? For any mere man to do so would be the height of arrogance and blasphemy. Jesus takes upon himself the prerogatives of a jealous God who will have no gods before him. As the first commandment teaches that there must be no gods before God, Jesus teaches that he must be above all. Note: A reader named Richard Lucas took exception to my brief assessment of the book Kingdom through Covenant in last week's Vision article. I tried to add the following response to the comments, but it exceeded the allotted word count, so I am posting it as an article instead. To read the original article and the Lucas' comments, go here. Thanks for your comment and sorry to be so long in responding to it. 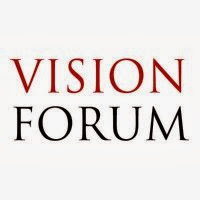 This article was the pastoral column that I wrote for last week's edition of my church's e-newsletter, The Vision. I typically post my pastoral article to my blog each Thursday. It so happened that one of my friends at the Confessing Baptist website then posted a link to the article on their site and the views went up into the hundreds. From your comments it seems I hit a nerve with my brief and less than enthusiastic assessment of Kingdom through Covenant (Crossway, 2012), especially my description of it as an attempt "to meld dispensationalism with Calvinism [let me clarify that by Calvinism I meant a full blown Calvinistic and, thereby, convenantal theology]." Let me assure you that I do, in fact, own a copy of Kingdom through Covenant (and the picture above proves it [! ]; believe it or not, I found it among the used books at the local Salvation Army--so I bought it for about a dollar, great deal!). Let me also add that I have published over 25 book reviews in peer-reviewed academic journals (like Interpretation, Perspectives in Religious Studies, Puritan Reformed Journal, Faith & Mission, and American Theological Inquiry), not to mention at least as many reviews in Reformed Baptist Trumpet, the e-journal of the RBF-VA, which I edit. In formal published reviews I have closely read each book, often more than once. I have not (as yet) written a thorough review of Kingdom Through Covenant and may or may not ever get around to it, particularly since several folk have already ably done so, and I do not see the need for another. I don't know if you're familiar with Mortimer J. Adler & Charles Van Doren's classic work How to Read a Book (Touchstone, 1940), but I would commend it. Within that book, the authors describe three levels of reading: (1) elementary; (2) inspectional; and (3) analytical. All the books for which I have published a review have been read at the third and deepest level. I admit that my reading of KTC was more on the second level, but then again my purpose was not to offer an in-depth review. Adler & Van Doren describe inspectional reading as "the art of getting the most out of a book in a limited time" (p. 38). When it comes to reading speed, they add: "One point is really very simple. Many books are hardly worth even skimming; some should be read quickly; and few should be read at a rate, usually quite slow, that allows for complete comprehension" (p. 39). My brief reference to KTC in the article was not, of course, meant to serve as an exhaustive review. I do not believe, however, that my brief assessment of the book was inaccurate and find it curious that this brief reference hit such a nerve with you. As Max pointed out in the comments, my assessment was essentially the same as that of Thomas Schreiner's (i.e., "Gentry and Wellum offer a third way, a via media, between covenant theology and dispensationalism...") which the publishers chose to print on the introductory page of the book. "Given that we are presenting our view of the covenants as a via media, it is not surprising that we agree and disagree with both views [dispensationalism and covenant theology] at various points. For example, in agreement with progressive dispensationalism and covenant theology we believe there is only one people of God (the elect) through the ages and one plan of redemption centred (sic) in Christ. However, in contrast to covenant theology, we believe that the church is different from Israel in at least two ways...." (p. 684). You state that you don't like my use of the verb "meld" to describe this, but when I consulted an online dictionary it gave the following definition of "meld": blend, merge, combine, fuse, mesh, alloy. Isn't "meld" an appropriate description of the KTC method? Let me also offer a little more background. I have been following the "New Covenant theology" movement over the last few years including closely reading Tom Wells and Fred Zaspel's New Covenant Theology and Richard Barcellos' response In Defense of the Decalogue. 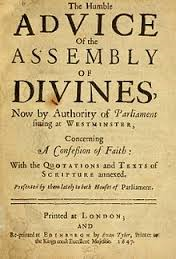 Even an inspectional reading of KTC convinced me that it was related to New Covenant Theology, as did endorsements by other NCT theologians and past Bunyan Conference speakers like T. Schreiner and M. Haykin. So, all that said, thanks again for your comments and suggestions to improve my article in reference to KTC, but I stand by it and do not feel any need to alter it.